Thanksgiving is a uniquely American holiday, filled with a cornucopia of food, football, being together and the Thanksgiving Parade. It’s a day to not only be a glutton, but also reflect on what we are thankful for. This year, I am most thankful for my dogs. I know I say that every year, but it’s true. Every year I love them just a little bit more, as they surprise me with their random behavior and quirky antics. 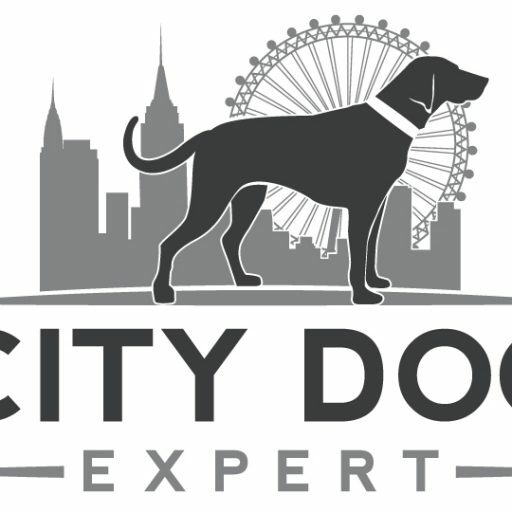 Having lived in the USA for 6 years, I miss celebrating Thanksgiving with my friends (I mostly miss the food if I am being honest), and decided this year to have a celebration led by my 2 American dogs (Houdini and Folly). 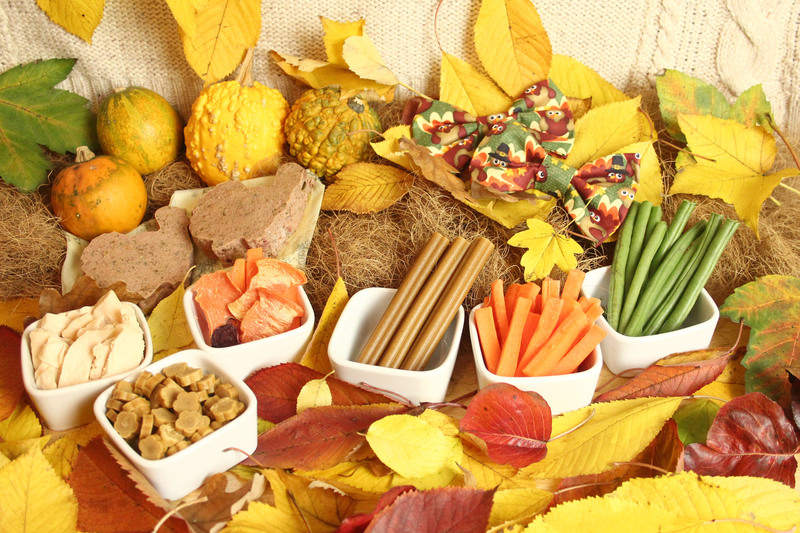 Thanksgiving food can be rich, salty and not suitable for dogs, so we created a feast for the pups that was designed just for them. 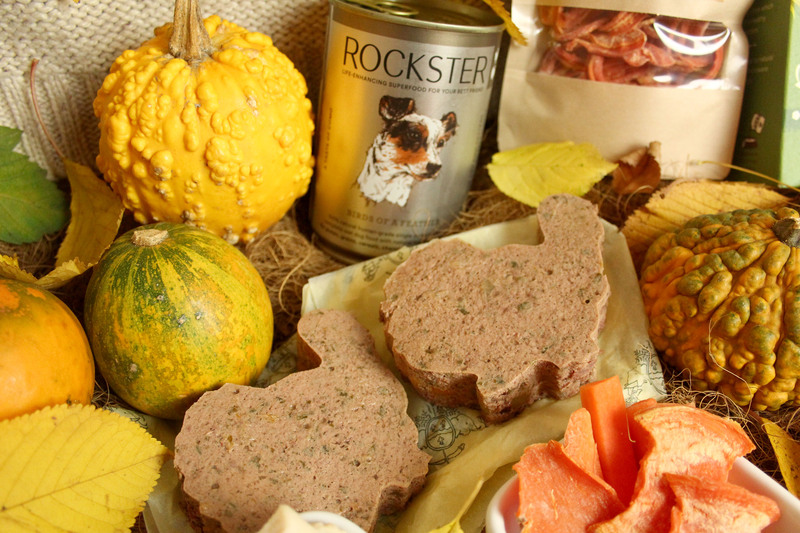 We started off with Houdini’s food- Rockster. He has been on this food for over a year and the transformation is incredible. He is much more spritly and (dare I say it), a little more mischievous these days. 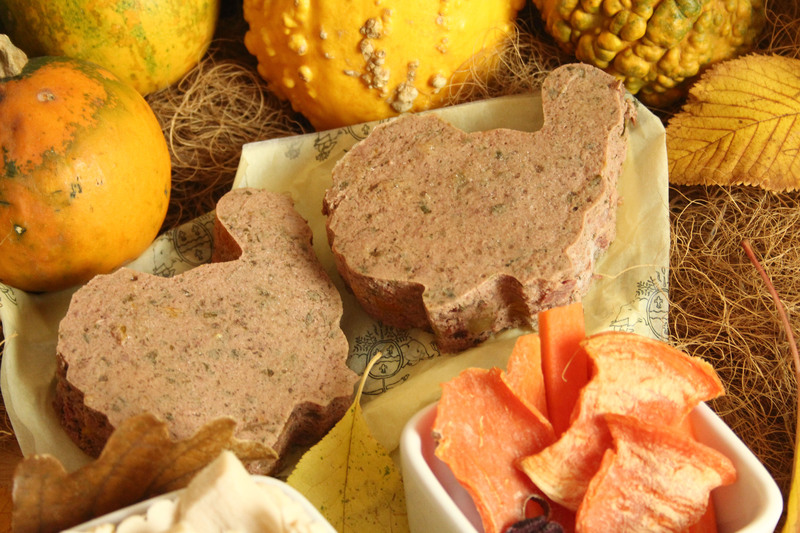 We used a turkey shaped cookie cutter that we filled with Birds of a Feather food from Rockster. The food held its shape quite well in the mould. It was devoured within minutes. While making sweet potato, gravy, stuffing and cranberry sauce for the dogs seemed like a little too much effort for me. 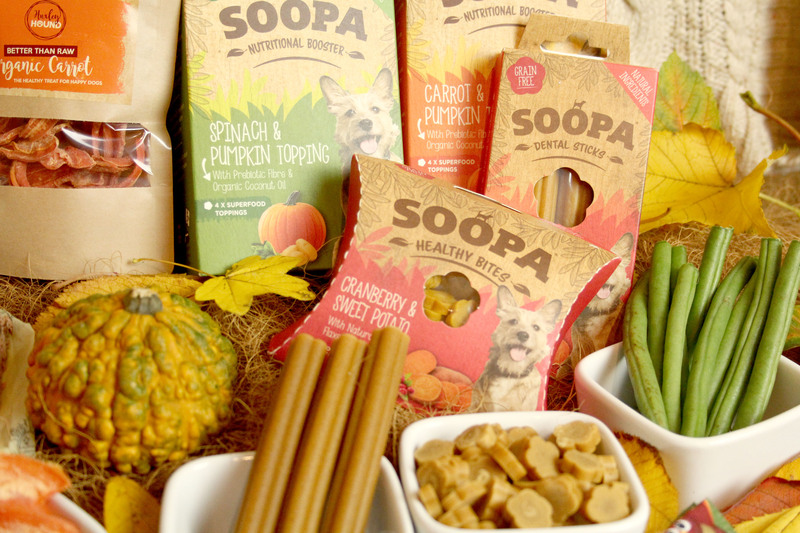 I turned to the Ireland based treat company Soopa to cover all our festive needs. 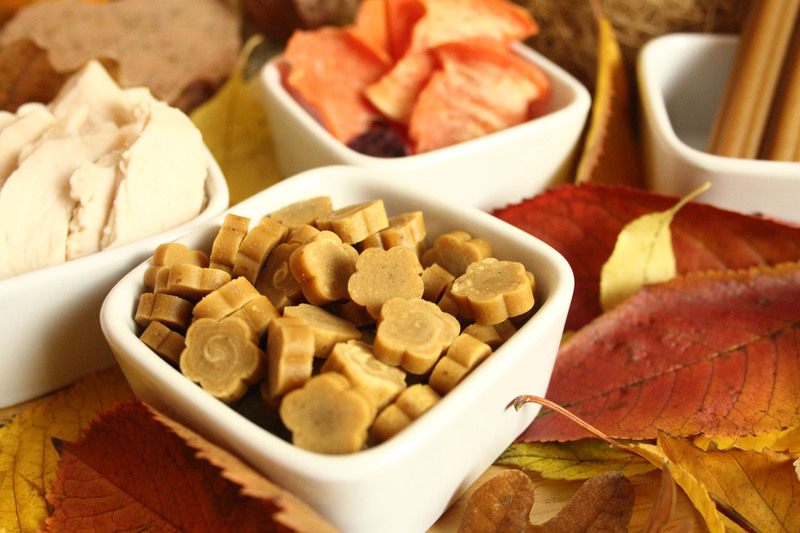 The cranberry and sweet potato sticks and treats were a perfect festive addition to the dinner plate. The spinach and pumpkin topping we turned into little stuffing balls (with much difficulty) but they look adorable. The carrot and pumpkin topping we used as is as our gravy. What is a Thanksgiving feast without side dishes? 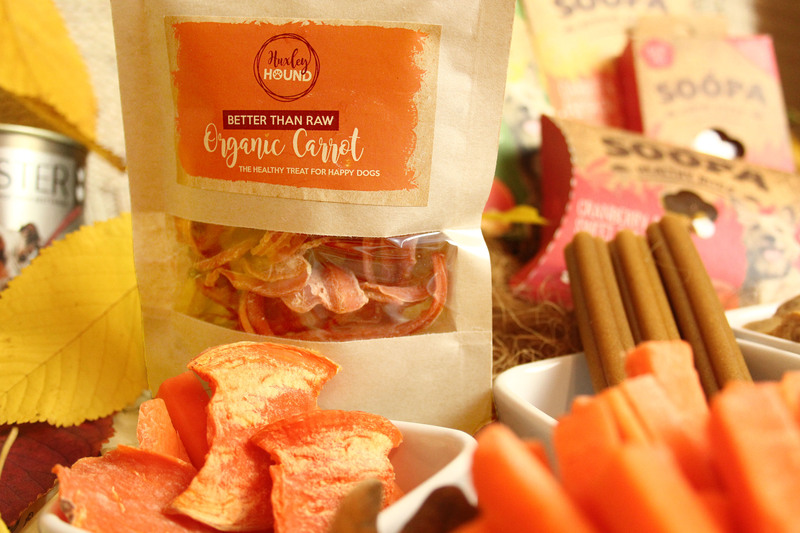 Our stash of Huxley Hound came to the rescue with dehydrated carrot treats made specially for dogs. It looks perfect on a Thanksgiving table. We also added fresh turkey and green beans. What a lovely meal. I especially like the turkey cookie cutter food! 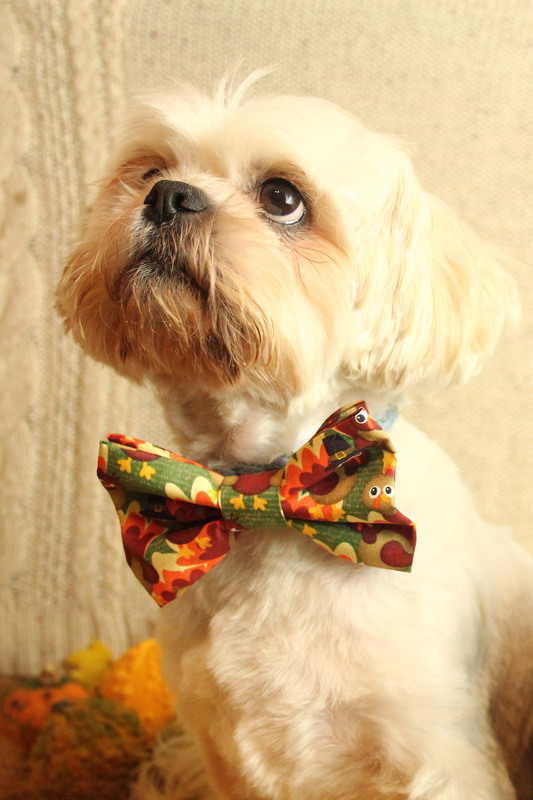 And those bow ties are just adorable. I am a sucker for dogs in bowties and side dishes! 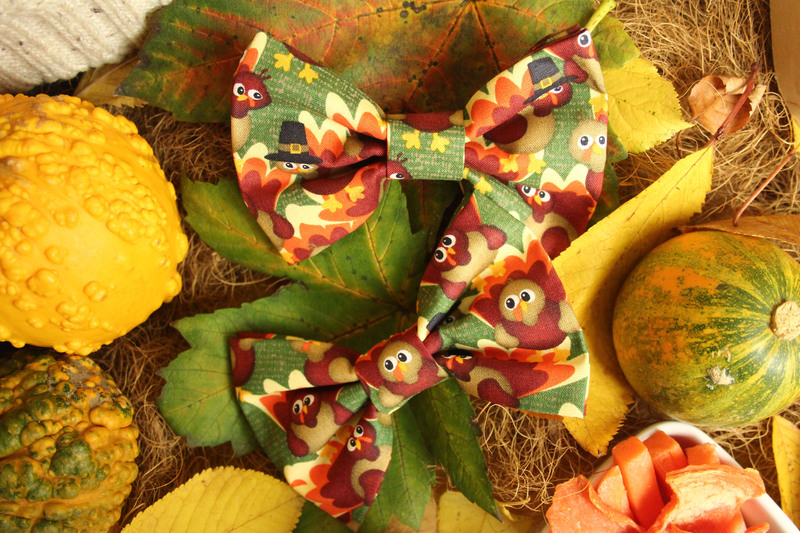 I love their adorable bowties and those turkey cut outs are adorable. I am glad you and the pups were able to celebrate. Ruby says the carrot treats look especially yummy. What an absolutely adorable idea! I love the turkey shaped main course. 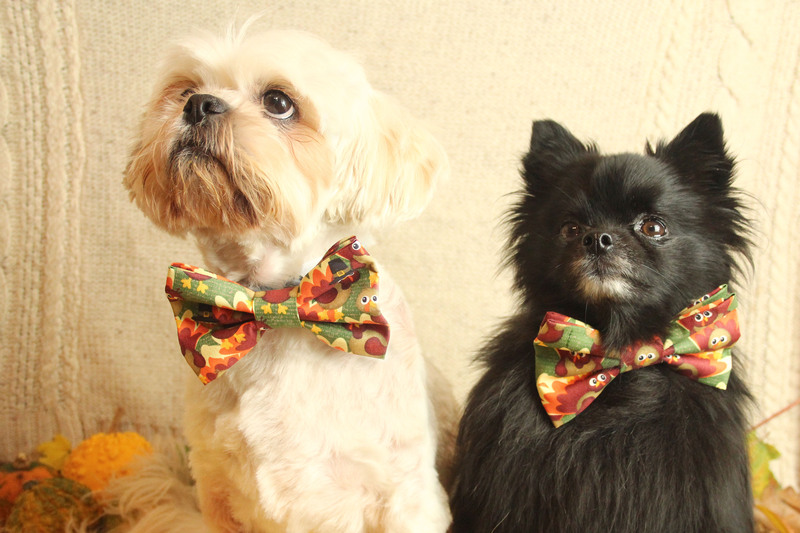 And your pups are very well dressed for dinner with their bow ties. Wow, what a thought out meal! My dog just got some leftover turkey and got to lick out the mashed potato pot. She’s used to people food. I really like the bow ties! That is such a cute idea! I’m curious to know if there was a clear favorite food or if they just ate it all indiscriminately. 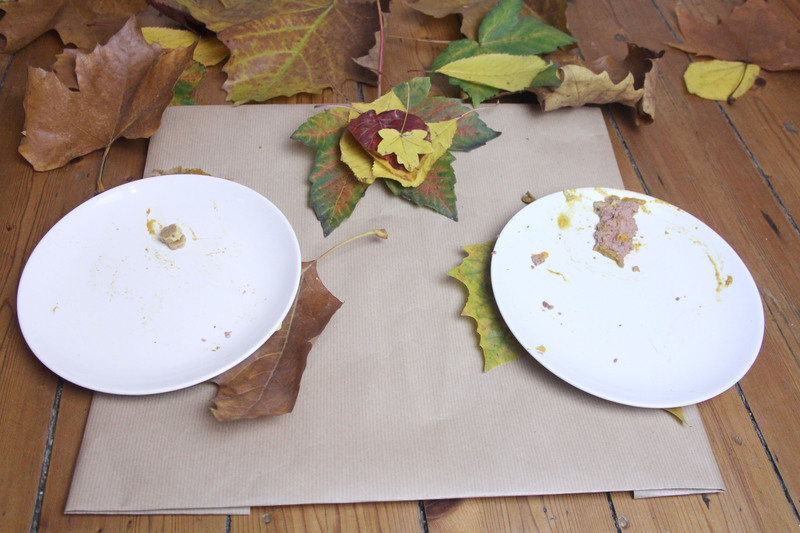 Looks like the Thanksgiving meal was a huge success. 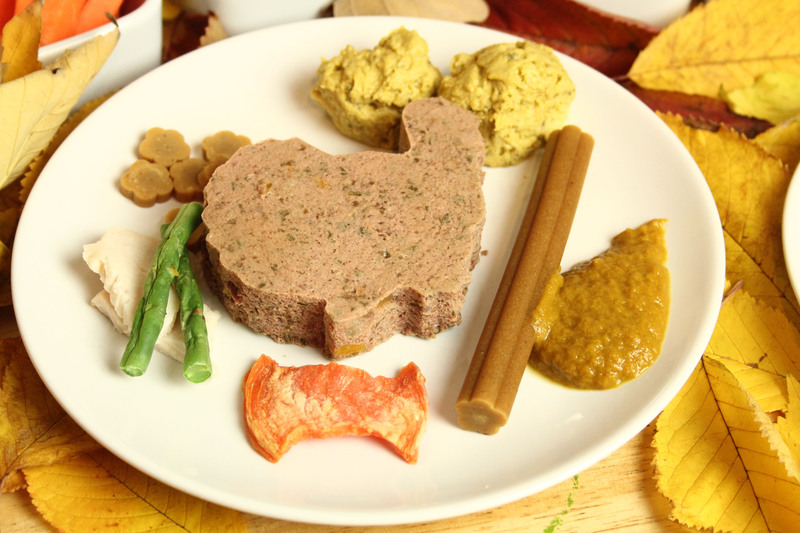 I love your creativity in preparing the purrfect Thanksgiving feast. This is such a cute Thanksgiving meal! 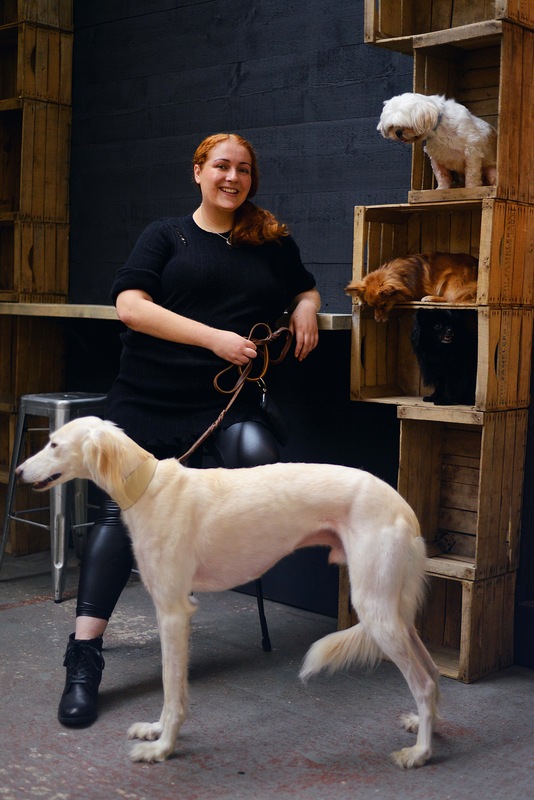 Your dogs must have loved it. It was awesome of you to provide a feast that they could eat while you had yours. That rooster cookie cutter was a great idea. Happy Belated Thanksgiving! This meal looks delicious! My dog would be in heaven! I love that you thought so hard about it to even use a turkey shaped cutter for the food! !